SingerPro operates a website that provides singer information for singers active throughout the country. SingerPro sends artist information in a wide variety of genres across the country and strives to popularize sound popular music. 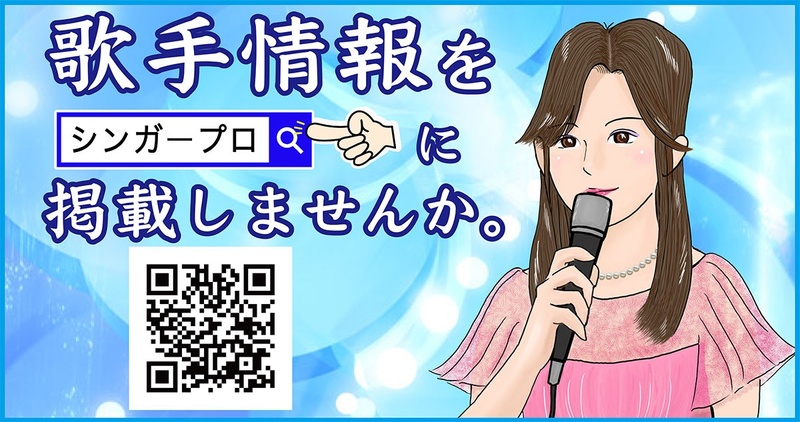 So, I hope you will post your singer information on SingerPro. Singer information is produced so that genre, hometown, singer name, music name, video page can be moved back and forth from the singer information page. 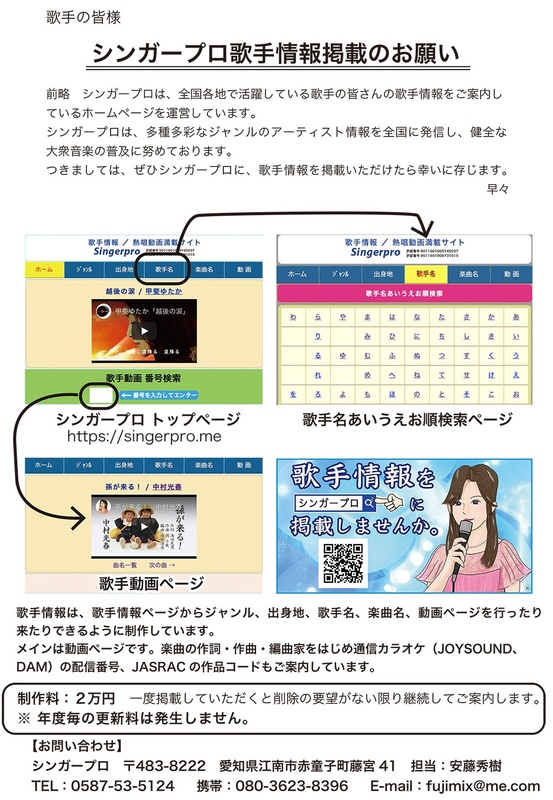 The main page is the video page, and also introduces the song lyrics, composition, arrangement of the music, the distribution numbers of the communication karaoke (JOYSOUND, DAM), and the JASRAC work codes. The production fee is 20,000 yen. Once posted, there will be no annual renewal fee. We will continue to inform you as long as there is no request for deletion.